Below are some of the workshops we offer! Workshops are offered monthly (CALENDAR). We are also available to do a workshop for a private gathering. Workshops can be hosted at our location (Northeast Ohio) or we can come to you (additional travel expenses may apply depending on location). We look forward to hearing from you! Stress is something that we all contend with, especially those who are more highly sensitive or empathic. For this workshop, we will teach you energy techniques to help you reduce stress and how to take care of yourself in stressful situations, as well as how to avoid falling into stress in the first place! By the end of this workshop, you will have guidance on what techniques will work best for you and you will know how to use them. For this workshop, we will be working with a book by Anodea Judith called, Awakening the Heroes Within. Using this resource, we will be exploring which of the twelve major archetypes are most active for you right now, which are repressed, and explore how you can work with these archetypes to empower you. Book purchase is recommended, but not required. There are many wonderful spiritual tools available and this workshop will teach you how to use some of our favorites! We will be exploring tools to help with energy balancing, crystals, Powerforms, tuning forks, sacred herbs, drums, oracle cards, essential oils and more! You will also receive personalized intuitive guidance about what tools would be most helpful to you at this time. Participants will also have a Spiritual Starter Toolkit to take home. The symbol of the wheel has appeared in many cultures. It offers a tool to explore the process of transformation. For this workshop, you will make your own mini medicine wheel kit and learn how to use it! You will also get a chance to get guidance using your kit and also to provide insights for someone else. We live in a world that is made up of energy, but often we don’t think about energy when it comes to our daily lives. This workshop will teach you how to work with crystals and other spiritual tools to create a peaceful, harmonious energy space that will support you on all levels. This will help you deepen your connection to your Spiritual Support Team of Angels and Spirit Guides and also to your own deep wisdom. Participants will receive a sacred space toolkit as part of the experience. Animals are our allies both in our physical lives and also in our spiritual world. They bring in unique energies and support to help us be empowered as we walk our spiritual path. 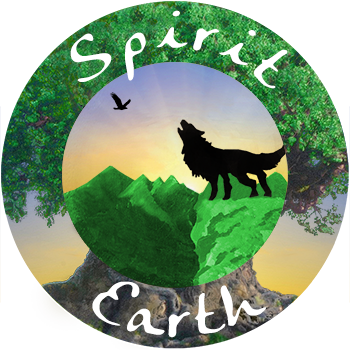 This workshop will connect you with the animal spirit guides that are most active for you right now and teach you tools on how to connect with them. Personalized intuitive guidance from your animal spirit guides will also be shared as part of the workshop. Plants (especially trees) are powerful allies that are often overlooked. For this workshop, we will be connecting you with plant and tree allies. You will learn how to work with different plants to support you with different challenges, discover a personal plant or tree guardian and learn tools on how to communicate with the plant world. Personalized intuitive guidance from your plant guardians will also be shared as part of the workshop. One of the most helpful tools we have come across is a book by Jan Spiller called Astrology for the Soul. This wonderful resource explores your “North Node” which equates to your soul path in this lifetime. For this workshop, you’ll learn about your North Node/Soul Path, how to work with this information to support you in living your life purpose, and how to use the information to better support loved ones on their soul path. You will also receive a personalized intuitive message from your Angels and Spirit Guides about your next step on your soul path journey. Participants are asked to have a copy of Astrology for the Soul or it can be purchased through us for an additional fee. This workshop combines the ancient system of Tarot cards with the wisdom of the animal world. Using a technique from Animal Totem Tarot by Leeza Robertson, this workshop will identify the animal totem tarot that is supporting you in each of the chakras (energy centers). We will explore how to work with the animal and the archetypal energy of the tarot to empower your spiritual journey. Personal intuitive guidance will be shared with each participant, as part of the workshop. Book purchase is recommended, but not required. The Earth holds all that we need to be healthy and happy. It has all the same energy pathways that we have in our body, plus many other energy vortexes that can connect us to higher consciousness. As we have traveled around the country, we have made energy essences of many different power centers on the Earth. For this workshop, we will teach you how to work with energy essences, how to find them, and how to create your own energy essence that you will take home with you. Personalized Workshop – Have an idea? Let us know and we can discuss options. Our workshops are not lecture focused. They offer an interactive experience where the participants learn about spiritual topics and tools while also receiving individualized coaching, intuitive guidance, and hands on practice with the concepts. For this reason, the size is limited to eight participants. If you have a larger group, please get in touch with us via the contact form below and we can discuss alternative options to meet your needs.